Jay Carroll Tuttle, 84, of Siler City passed away on Tuesday, December 12, 2017 at Clapp's Nursing Center in Pleasant Garden. After graduating from Guilford High School in Greensboro, Jay initially worked with the NC Department of Agriculture. He retired after many years of service with P. Lorrilard of Greensboro. Jay loved to garden his whole life, sometimes having gardens that spanned many acres, sharing the bounty with many friends and neighbors. Jay loved to fish and hunt and was an accomplished musician, with a deep love of traditional bluegrass music. He will be greatly missed by those who knew him. A funeral service will be held on Friday, December 15, 2017 at 11:00 a.m. at Rocky River Friends Meeting with David Hobson officiating; burial will follow in Rocky River Friends Meeting Cemetery. The family will receive friends on Thursday evening from 5:00 until 7:00 p.m. at Loflin Funeral Home of Liberty. 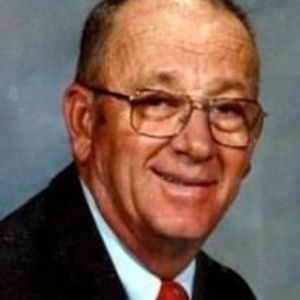 He was the son of the late Porter Allen and Ruby Simpson Tuttle and was also preceded in death by his first wife, Martha "Patsy" Hargrove Tuttle; son, Steven Andrew Tuttle; sister, Margaret Lea Robinson and brother, Porter Donald Tuttle. Mr. Tuttle is survived by his wife, Shirley Pickard; daughters, Marcia T. Ohrt and husband, Thomas and Pattie T. Caviness and husband, Sam; son, John Wesley Tuttle and wife, Ann; grandchildren, Autumn Loftis Johnson, Tara Elizabeth Peterson, Samantha Marie Robertson, Cameron Neal Caviness, Tyler Jay Tuttle, and Grayson Alan Tuttle; great-grandchildren, Mackenzie Peterson, Connor Peterson, Austin Johnson, Trevor Johnson and Olivia Robertson; and brother, Robert Allen Tuttle. In lieu of flowers, memorial contributions may be made to Rocky River Friends Meeting, c/o Karen Pike, 802 N. Dogwood Avenue, Siler City, NC 27344. Loflin Funeral Home of Liberty is honored to serve the Tuttle family.